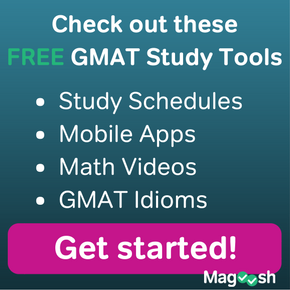 Although not explicitly tested on the GMAT, it’s good to know how these are supposed to used. It’s easy to be thrown off if you come across these and aren’t sure what they mean. A student asked about them, so I want to clear the air and make clear what they mean. And here’s this week’s board! 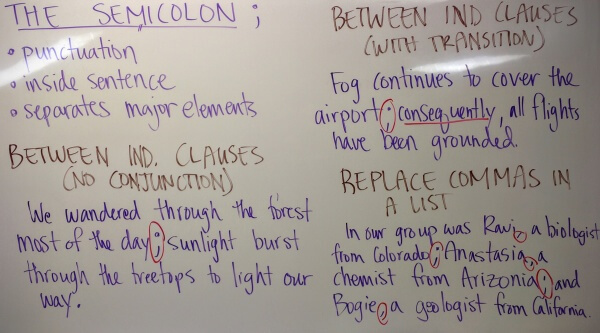 5 Responses to GMAT Tuesday: How Do I Use Semicolons? 1) Fog continues to cover the airport ; consequently all flights have been grounded. 2) Fog continues to cover the airport therefore all flights have been grounded. 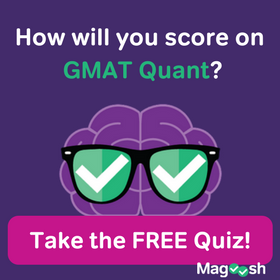 which one is better when asked in GMAT exam. ? Those really are two very similar statements– make sure you also put a semicolon before “therefore,” though! Either of those sentences might potentially be OK on the GMAT. However, in most cases, “consequently” is a better word choice than :”therefore” in this sentence. This is because “consequently” clearly suggests cause and effect. And what we see here is a physical cause and effect. Fog blocks visibility >>> flights are grounded. 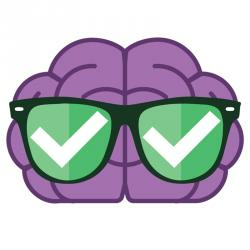 “Therefore” can sometimes denote cause and effect, but this word is more often used to show a relationship between analysis and conclusion. So “therefore” is not as strong of a word choice. A little unrelated, but “burst” seems like a verb that is in a singular and plural form when written “burst”. 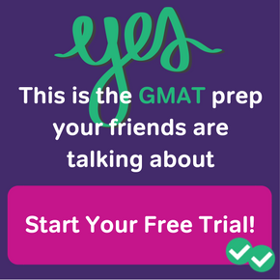 Would the GMAT test subj-verb agreement by writing “bursts”? Obviously, we hear that used all the time and if I didn’t look this up, I would have undoubtedly chosen the wrong answer. We love the energy Kevin, thanks for the videos. Glad to hear you like the videos!